It's the end of the week! Woohoo! And it's Easter weekend! Woohoo! 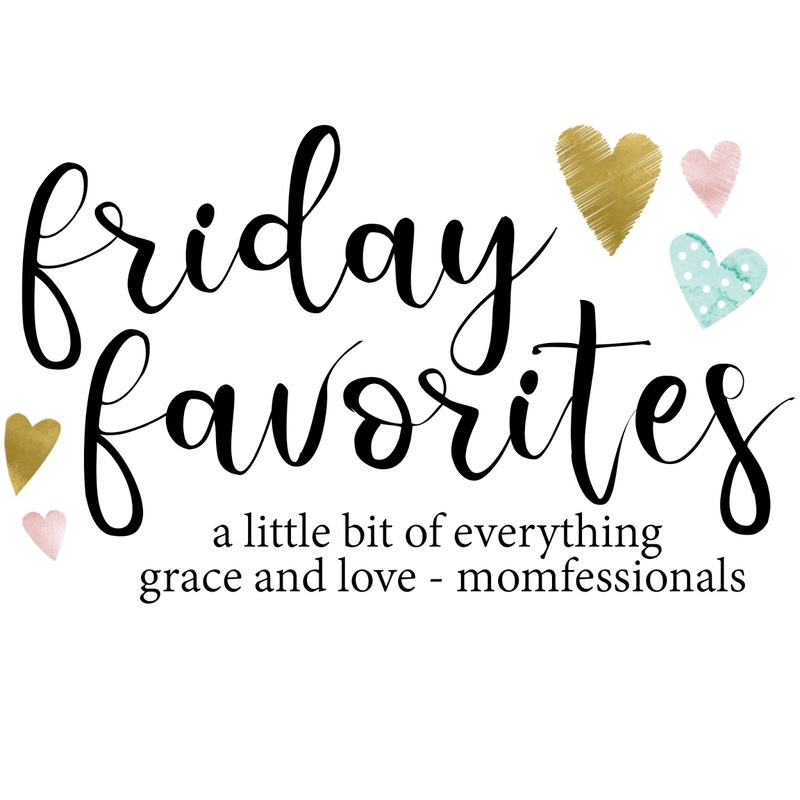 I haven't done a Podcast round up in awhile and thought this Friday I would share with you some of my favorites and some episodes to get you started. 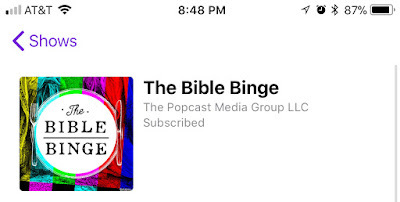 Knox and Jamie also have another podcast, The Bible Binge. I love this one. 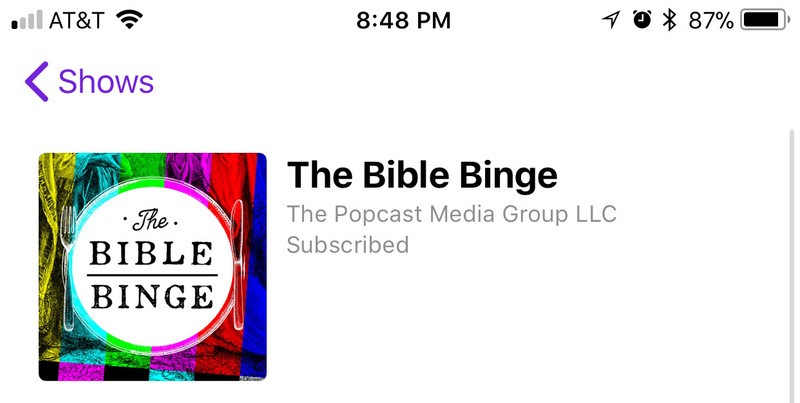 A combination of pop culture and the Bible, it is not irreverent or vulgar, it is everything you ever wanted in a Bible podcast but didn't know it. Again, I laugh out loud every episode. It is so so good. If you are looking for interesting stories about how entrepreneurs built their businesses, look no further than How I Built This. It is fascinating to hear how some of these businesses came to be. 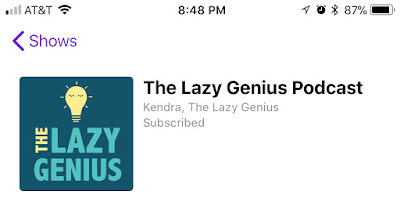 I love Kendra from the Lazy Genius podcast. Her motto is be a genius about the things that matter and lazy about the things that don't. She is real and you want to be her friend. She is funny and down to earth and what she says makes sense! Terrible, Thanks for Asking is a new find for me and I am hooked. Nora is so relate-able and the stories are gut wrenching. If you are prone to tearing up, don't listen to this on the way to work or somewhere important. It's funny, it's sad, it's the stories that we keep inside when people ask, "how are you", and your instinct is to say, "I'm fine" - even if you're not. If you haven't discovered Sorta Awesome yet, you must listen to it! 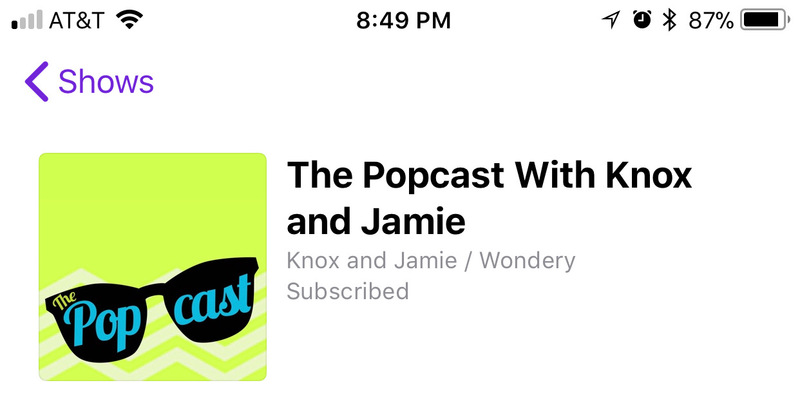 Every episode starts with the hosts' Awesome of the Week and they highlight something that week that has made their life more awesome. It could be a recipe, a book, a movie, a podcast, a beauty product, or one of a million other different things. The hosts Meg, Rebekah, and Kelly are amazing. So relatable, I want to be in a group chat with them. And there's the shows themselves. They cover wide ranging topics on all sorts of things. The goal is to make listeners' lives Sorta Awesome every day. Any podcast favorites? What are you listening to lately? Have a great weekend y'all!